Home / Beauty of a Site Blog / Easter Basket for the Beauty Lovers and FREE OPI Polish! Zoya Nail Lacquer, Hudson is a adorable addition to any basket. Step it up a little and get Hudson in a cute sampler called Awaken includes 6 great Spring Colors! An affordable luxury, high quality lip balm brightens any basket. Useful for anyone, packaged beautifully and intensely moisturizing, Agatha Ruiz Lip Balm, Cherry deeply nourish lips in seven delectable flavors. A Beauty of a Site favorite, Leila Lou Perfume Oil, by Rosie Jane, is a light and airy spring fragrance. In a precious little bottle (that's so affordable! ), this beautiful oil will be cherished by any woman who receives it. New from Kala style, these fun Statement Soaps make for great gifts, and say something, too! 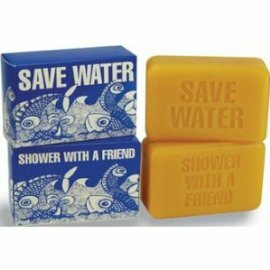 With words like "Faith," "Hope," "Joy," and even funnier phrases like, "Save Water... Shower with a Friend," these bright, high quality suds are perfect basket stuffers!